Welcome to our Newsroom page for an update of all the good things happening at First Steps Soccer. We have so far collected over 50 shirts for Kit Aid in our Bristol classes. If you attend a class in Swindon and have an old kit you would like to donate, please contact your coach. 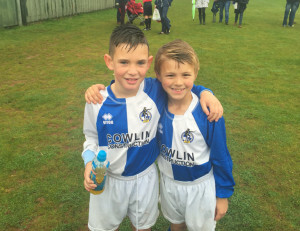 Congratulations to Jayden and Finlay on being selected to play for Bristol Rovers U8s. Both boys came to First Steps Soccer from a very young age and are turning into really great players. Keep up the hard work. latest update…. Our classes will be starting at St Joseph’s college on the 7th of Jan 2017. Book now to secure your place.